Many grocery stores sell packaged, ready-to-serve roasted beets in the produce aisle. These are a wonderful convenience product, but they're overpriced considering how easy and inexpensive it is to roast beets at home. 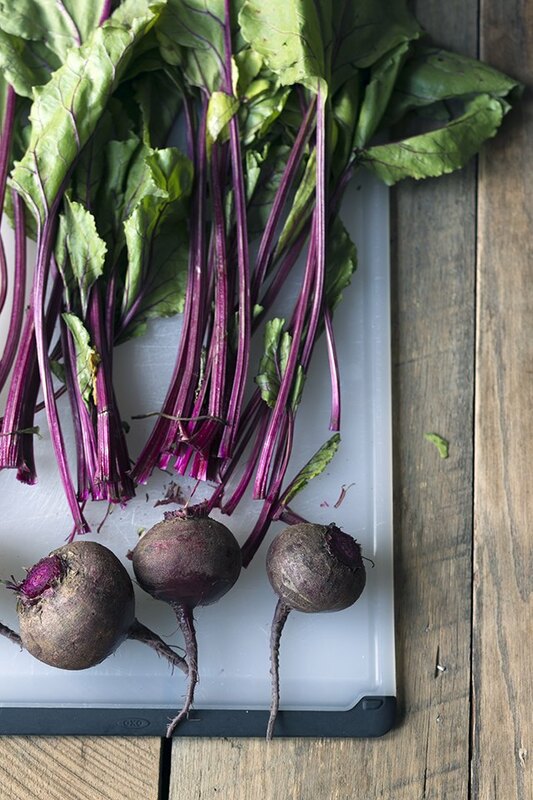 Roasted beets are incredibly healthy, mildly sweet, and they add a beautiful color and appealing texture to so many meals. Add them to salads, pickle them, or serve them as a side dish tossed with some olive oil, vinegar or citrus juice, fresh herbs such as basil or mint, and some crumbled goat or feta cheese. Preheat the oven to 400 degrees Fahrenheit. Slice off the beet stems and greens, reserving them for another use. Did you know that the entire beet is edible? Beet greens are very similar to Swiss chard. They're wonderful sautéed with some olive oil, salt and pepper. 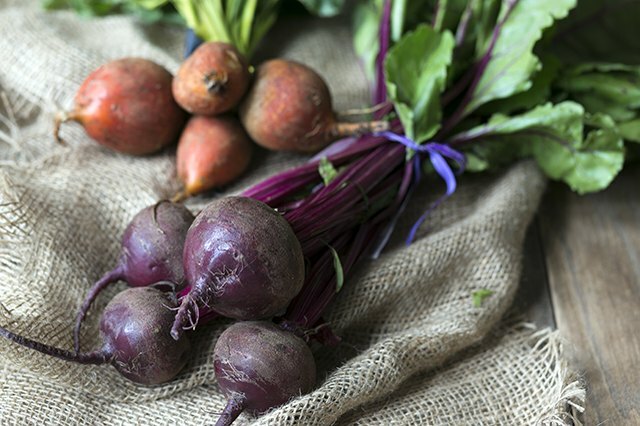 Beets are a root vegetable, meaning they're grown in the ground. They're often quite dirty, and need to be cleaned thoroughly. Use a vegetable scrubber to remove any grit. 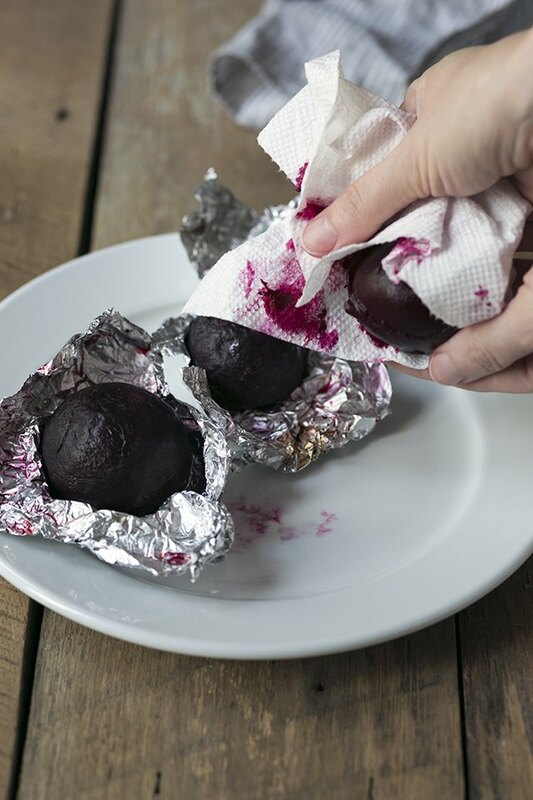 If you don't have a vegetable scrubber, you can peel the beets. 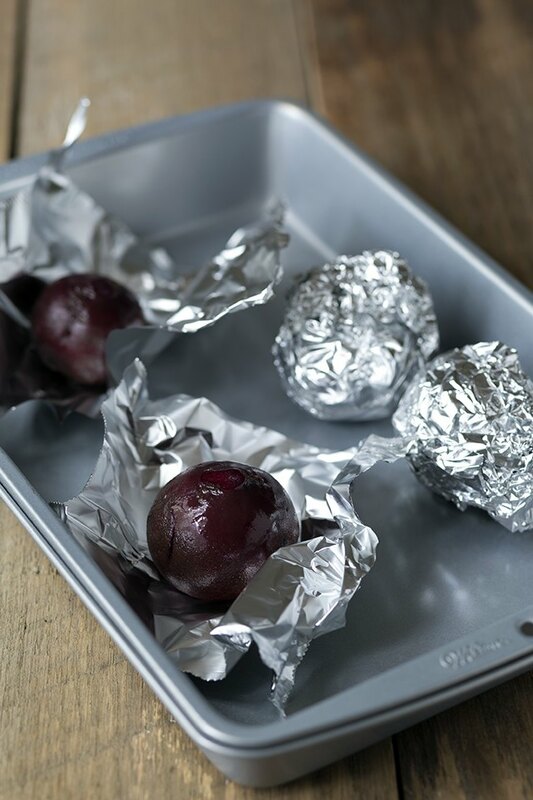 Lightly brush the beets with olive oil and wrap each one with aluminum foil. 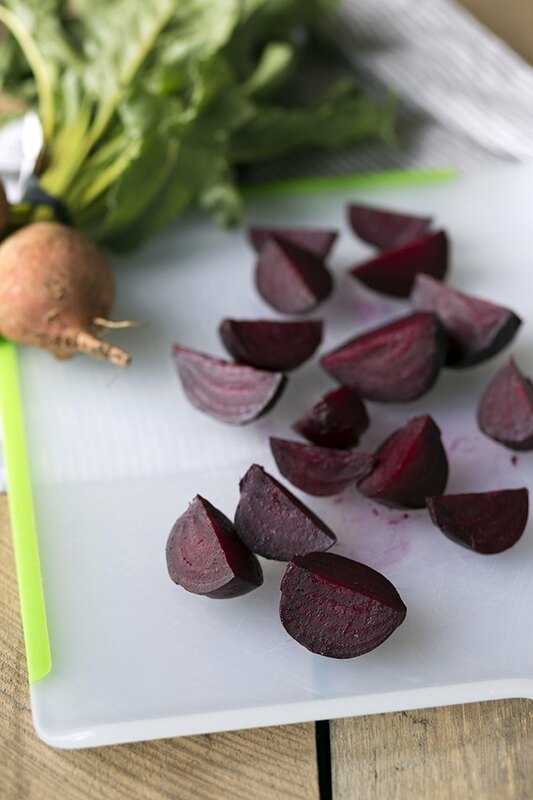 Place in a baking sheet and roast for 45 to 60 minutes (the time will vary depending on the size of the beets). 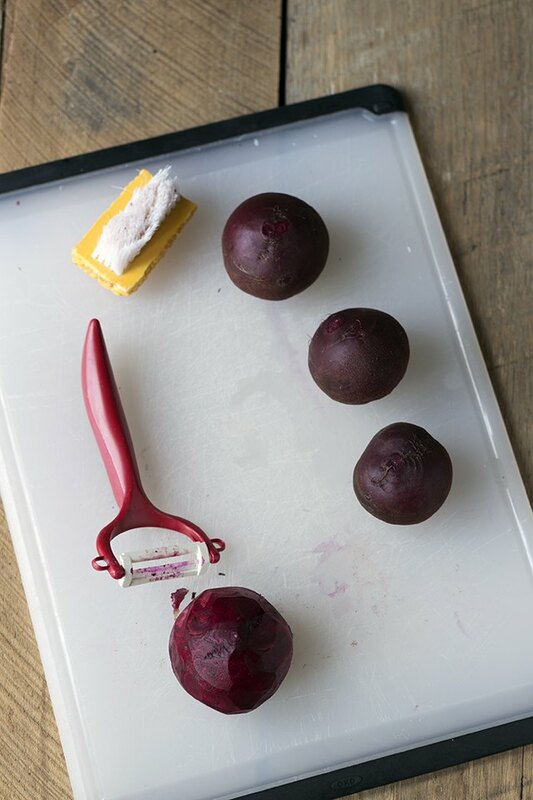 The beets are ready when a fork or toothpick easily slides through the center. Allow the beets cool briefly until they can be handled. Unwrap the foil. The easiest way to remove the peels without making a mess is to place one in a paper towel and gently rub it back and forth without applying much pressure. The peel should come right off. If a vegetable peeler was used in step 2, this step can be skipped. Quarter or slice the beets. The can be served immediately or stored in the refrigerator for up to one week.